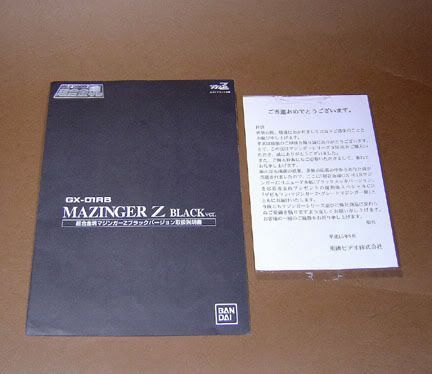 Hi guys, I thought I'd share this for those curious about these rare SOC releases. 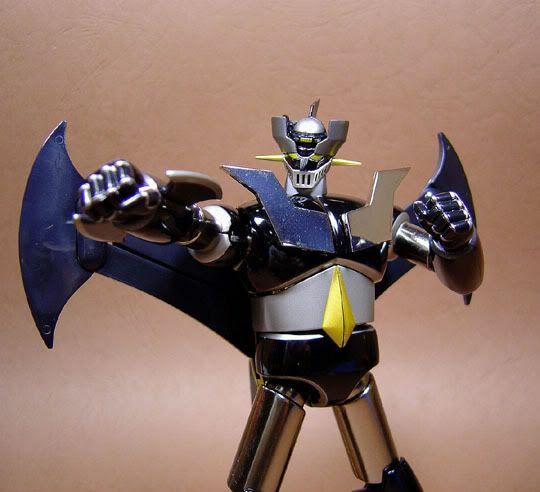 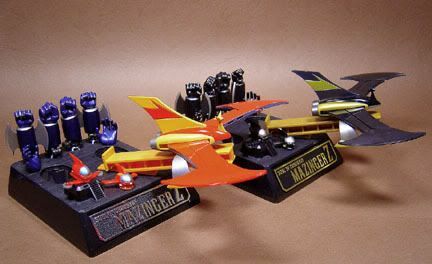 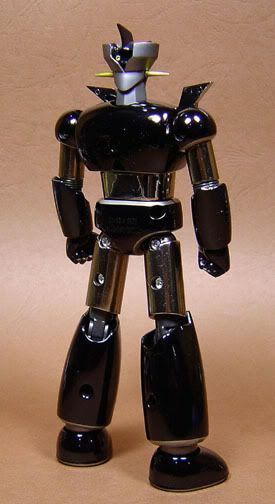 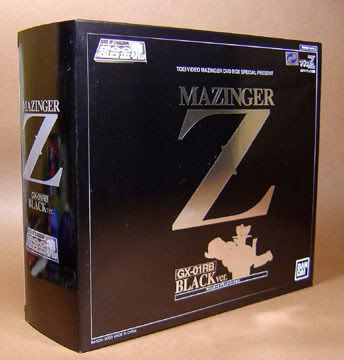 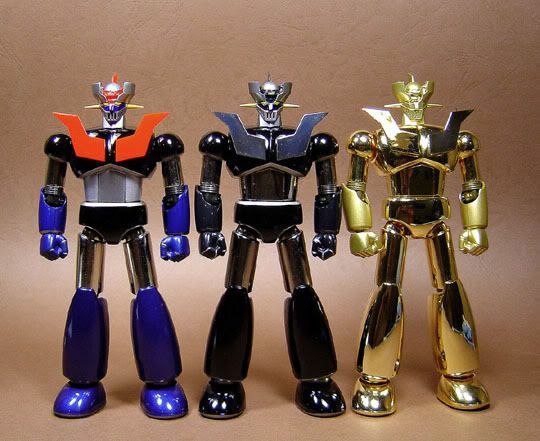 Here it is, the Gx01RB Mazinger Z. 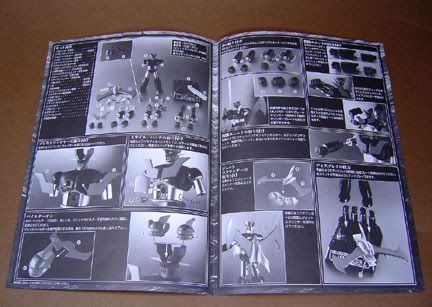 It's black and white and has only 2 pages. 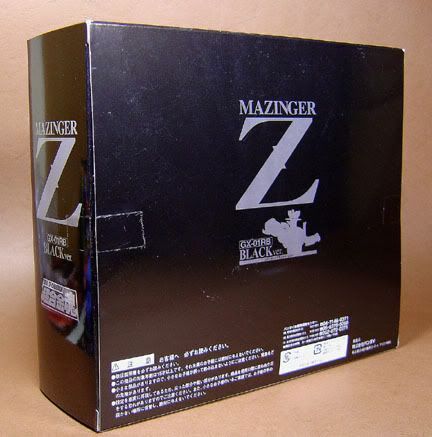 A slight difference in the packaging, there're additional plastic wraps on Mazinger's head and shoulders. 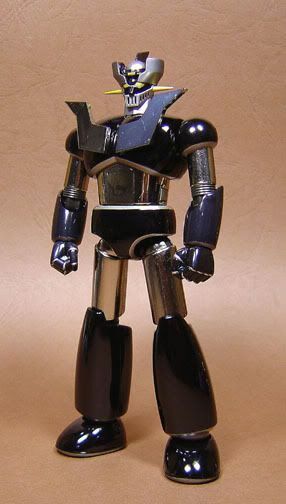 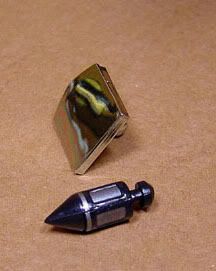 The most obvious problem with the toy would be the mirror finish. 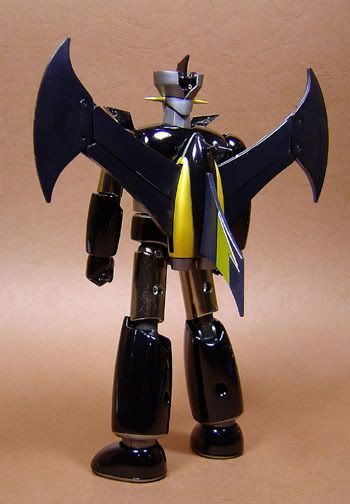 It tends to scratch very easily (especially the Breast Fire area). 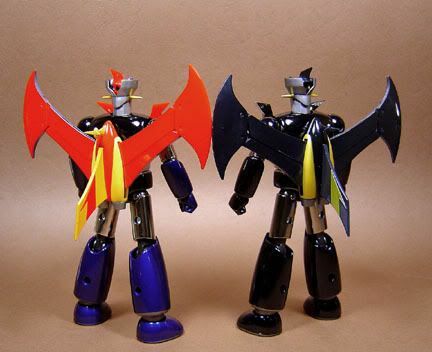 Comparison with the Gx01R version. 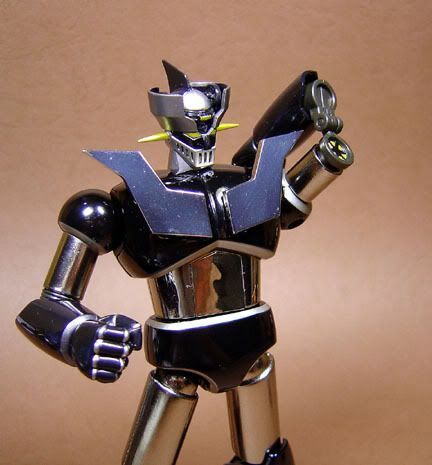 Apart from the black forearms and legs, Mazinger's lower torso is now shiny silver and the chrome finish on legs are not as shiny as the Gx01R. 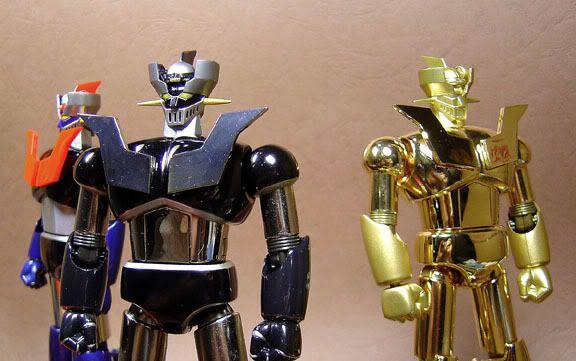 The yellow parts on his head like the eyes and horns are painted with a slightly different shade of yellow. 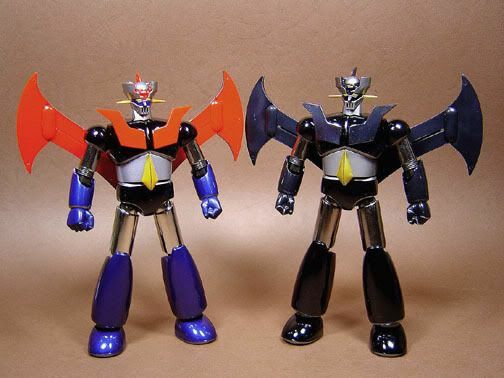 From what I understand, the color scheme is based on the second episode of Mazinger Z, where Mazinger was torched while fighting Doublas and Garada. 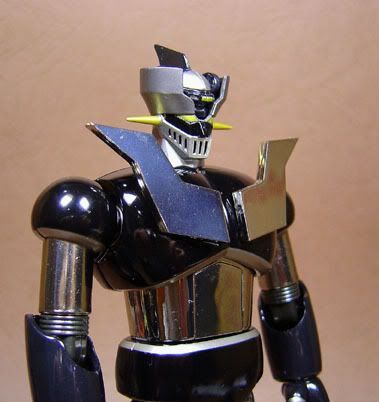 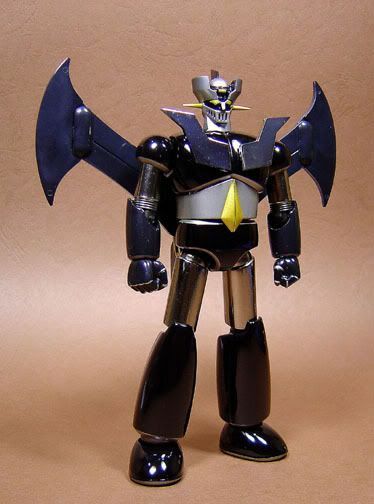 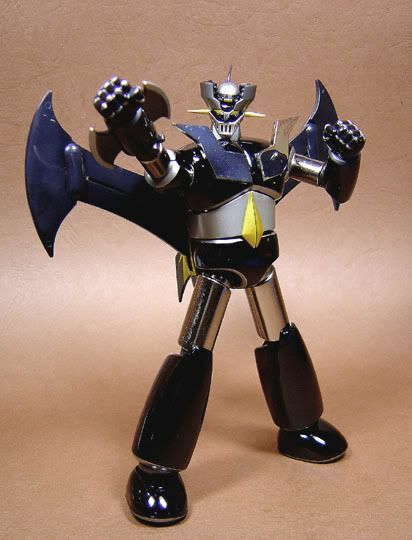 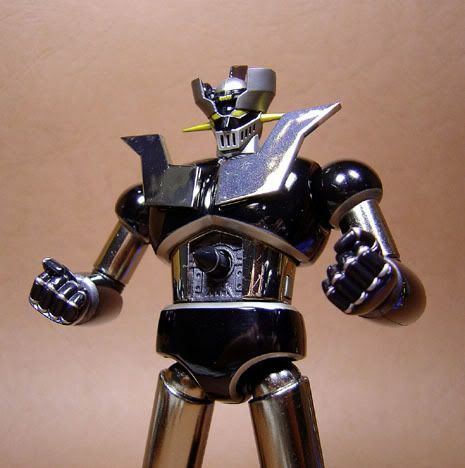 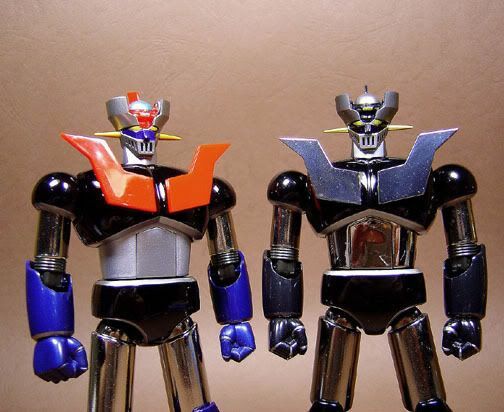 After the blaze cleared, Mazinger was turned gray and black for the rest of the episode. 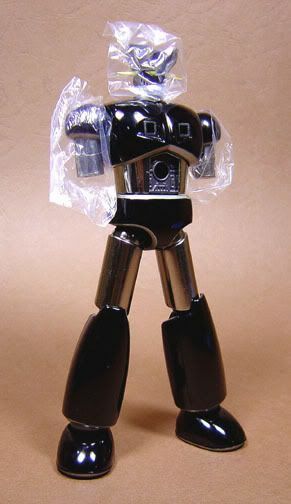 Considered as the one of the rarest SOC items. 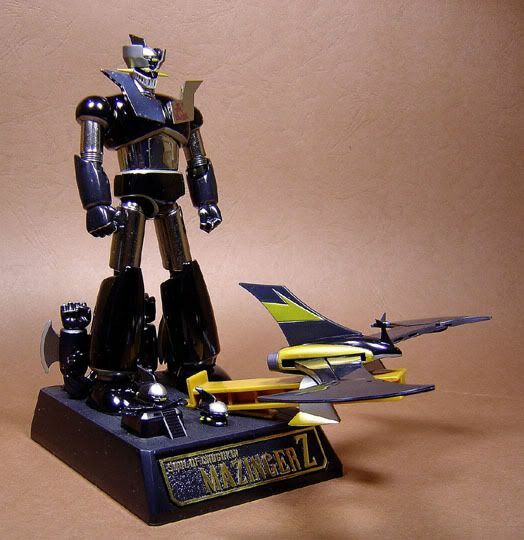 The only way to get this was to buy the Mazinger Z or Great Mazinger original R2 DVD boxset and mail in a coupon provided in the boxset. 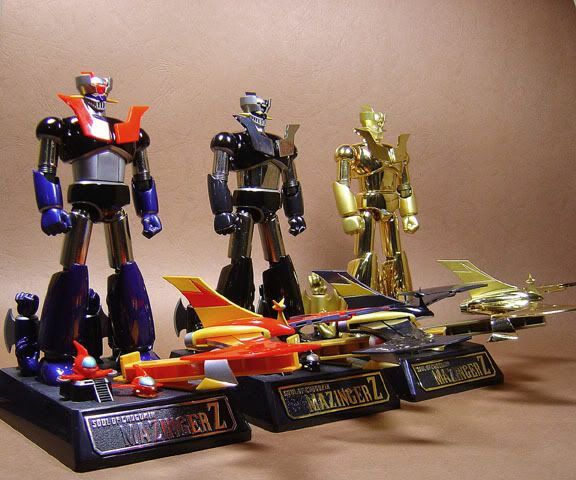 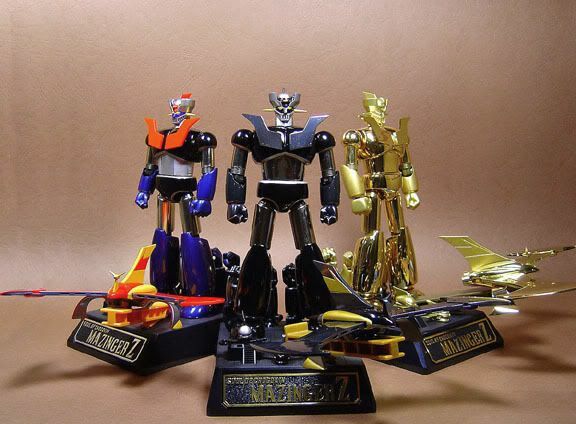 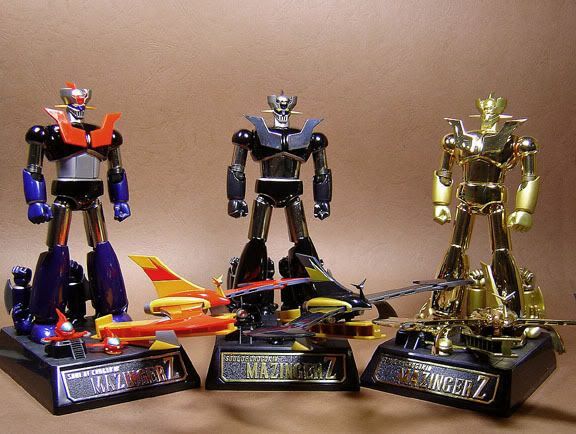 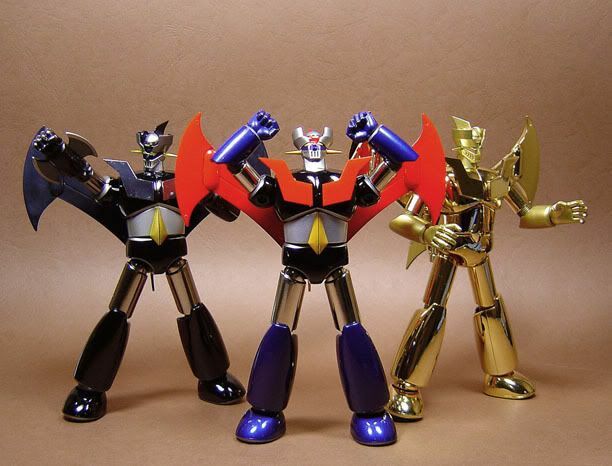 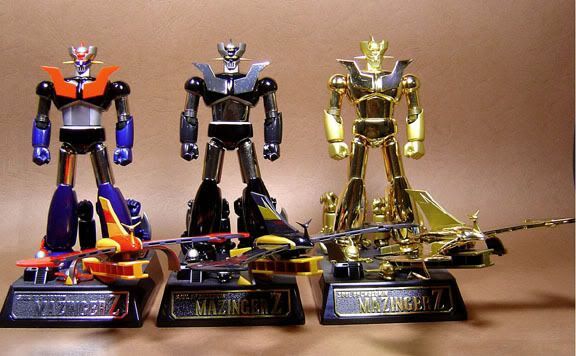 The lucky draw was limited to only 1000 winners (500 for Mazinger's DVD boxset and 500 for Great Mazinger's DVD boxset). 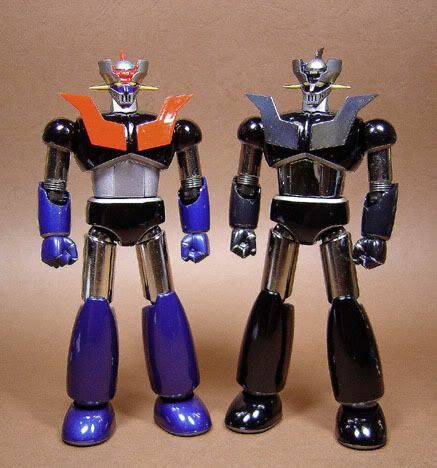 This little repaint reaches a commanding price on the secondary market in Japan and an even more astounding price over on Ebay.